It is October 31st, and time for all the ghosts, goblins and ghouls to come out and play! While this holiday is highly celebrated in North America, it is not traditionally as recognized in Italy. Typically, Italian culture has focused on November 1st, All Saints' Day, and November 2nd, All Souls' Day. However, due to Western influence on Italian culture, Italians have embraced the fun of dressing up and trick-or-treating as well! 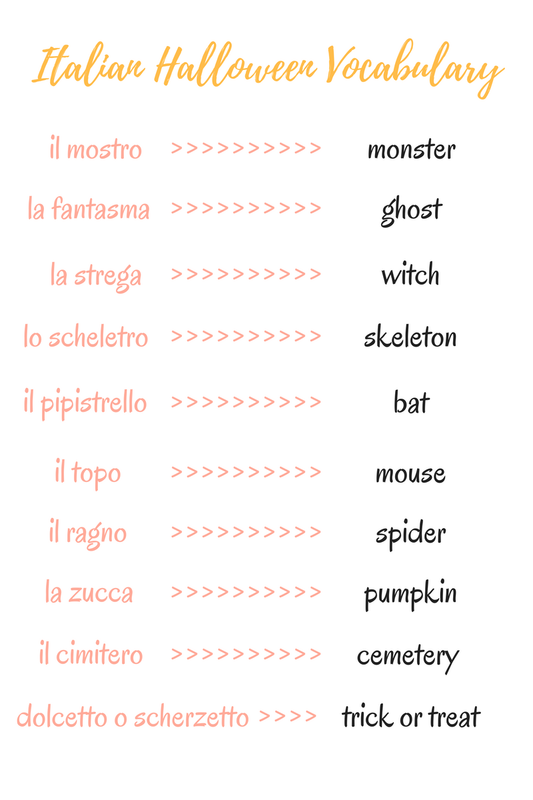 To practice your knowledge of these and other Halloween words in Italian, check out this Quizlet link for some vocabulary games and activities!